Alright, so here’s a weird one for you- Our forums are filled with all walks of life, including people who apparently read every last detail of end the user license agreements that 99.999% of the planet just scroll through as quickly as humanly possible before clicking “I Agree". Forum member Starjimstar just tipped us off to the following Duke Nukem Forever info-nugget that’s got me scratching my chin. If you check out the Duke Nukem Forever page on Steam, you can scroll all the way down to the view the manual link. Like most modern PC games, there’s basically nothing in there aside from a list of system requirements, and a whole bunch of legal text. Reading this legalese to the bottom gets you to the “Apple App Store Additional License Terms." Strange, right? The original Duke Nukem [99¢] is already on the App Store, but could Gearbox potentially be planning an iOS release of Forever as well? What reason could there possibly be to include App Store licensing terms in a document for a PC game? Here’s where things really get crazy- Per the FAQ, Gearbox isn’t specifically stating which engine they’re using, but it wouldn’t be much of a leap to suggest they’re using the Unreal Engine. …Which also is available for iOS. The license to the Software is a non-transferable license to use the Software only on an iPhone or iPod touch that you own or control. 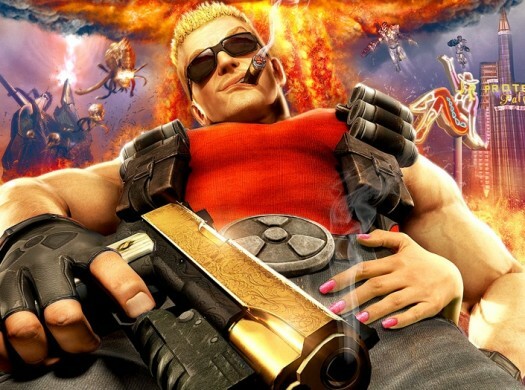 At this point in the development of Duke Nukem Forever, absolutely nothing would surprise me. Conspiracy theorists, start your engines!